I can't say I will be saddened if our Superintendent gets a new gig. I still don't know why we hired someone we knew wasn't going to be here for no more than a few years. Tell me that, during this time of budget strife, that we will not spend a penny in any kind of nationwide search, that we will move quickly to promote from within, and right this ship without the multi year transition that only amounts to spinning wheels in place. Here is hoping she gets the job, so those of us who have a real investment in the future of our town and school district can get back to work. Maybe Kent is available. Can't believe we passed on him to begin with. Well, if you haven't heard, she's gone! Kent Pekel, 38, senior policy associate at the National Center on Education and the Economy since 2005; married, three children. Key experience: Currently working with states to develop educational systems that replicate worldwide best practices. Past experience as executive director of research and development for St. Paul Public Schools under Pat Harvey; special assistant to deputy secretary of education in Washington, D.C.; social studies/global studies teacher at Thomas Jefferson High School in Bloomington; English language instructor for Yale-China Association in Wuhan, China. Why here: Enjoys current job, but "I've always planned to apply for the superintendent job in St. Paul, since before I left the district." Says he represents continuity, but "continuity in St. Paul right now is going to require change." His vision will be "education for globalization." Potential pluses: Knows the district; seen by some as logical heir to Harvey; product of St. Paul Public Schools and has kids in them (eldest, 10, at Capitol Hill). Potential minuses: No doctorate, might be seen as lacking relevant experience. Some concern about his ability to meet licensure requirement in timely manner. He says state would allow him to operate as licensed while working toward complete licensure within two years. Personal: "News junkie," spending time with family, active in church in St. Paul. Here's hoping he is still on the radar! Support for St. Paul's Hamline Library ran red on Tuesday night. Red pants, pullovers, shirts, scarves and, of course, bright red "Save Our Library" buttons speckled the crowd of at least 270 that showed up for the second — and last, for now — of Mayor Chris Coleman's public meetings to talk about drastic cuts proposed in city services to fill a $44 million budget hole over the next two years. "We wear red to show the library is vital to our community," said Julie GebbenGreen, who said she walks the two blocks from her Hamline-Midway home with her three children "three to five times a week." Hamline, the third least visited of the city's 13 libraries, is potentially on the chopping block. Library Director Melanie Huggins recommended shuttering Hamline, reducing library hours everywhere and slashing the system's materials budget after Coleman requested that all city department heads come up with ways to cut their 2009 budgets by 14 percent. There are fourteen libraries in Saint Pauls library system. The Hamline-Midway library has consistently ranked in the top half related to attendance at juvenile and adult events over the past three years. Use of its meeting rooms is in the top quartile of all Saint Paul libraries. In fact, the Hamline-Midway library does not rank last in any usage category. the Hamline-Midway library ranks 12th out of 14 in internet use. The ranking, however, does not adjust for the number of computers available at each library or the fact that the Hamline-Midway library is not open as many hours as other libraries. Of course the Rondo Community library is ranked first and the West 7th library is ranked last, because the Rondo Community library has the most computers of any other library in the entire system and the West 7th library has the least number of computers in the entire system. When the number of computers and hours are taken into consideration, the internet usage at the Hamline-Midway library is comparable and often higher than the computer usage at other libraries. Based on the annual budget and square footage of the Hamline-Midway library in comparison to its circulation numbers, it is actually one of the most efficient and inexpensive libraries in the city. Like I mentioned in my earlier post, my neighborhood is the ONLY one facing the closing of its closet library AND closest Rec Center. I can stomach the loss of the Rec Center during these times of budget strife. There are others close enough for my kids to adjust to, but the loss of the library would be crushing to our community. During times of economic tumult, these sources of learning should be as protected as the staffing our our public safety units. Time to look elsewhere. Drum Corps Night: Wednesday nights are Drum Corps nights. The line is locked in at 58 horns, over 30 guard, and a full drumline. That will put us pretty close to the 128 member limit. This will clearly be one of the most solid and well positioned drum corps in the history of Minnesota. Is a title in the offing, we can't control that. But what we can control is our individual desire to be the best we can be, and do everything in our power to gel with our corps brethren. All day music camp on Saturday, I can't wait! Rocking the House, and Senate! I know that we haven't agreed on every issue thus far -- (laughter.) There are surely times in the future where we will part ways. But I also know that every American who is sitting here tonight loves this country and wants it to succeed. I know that. (Applause.) That must be the starting point for every debate we have in the coming months, and where we return after those debates are done. That is the foundation on which the American people expect us to build common ground. The President simply hit it out of the park. He addressed the issues firmly, and specifically, but with hope, not despair. This speech was crafted in a way that the administration was going to talk straight to us, but lift us at the same time. The President made it clear where we are at, but laid out specifically how we are going to dig ourselves out. "A surplus became an excuse to transfer wealth to the wealthy instead of an opportunity to invest in our future," Obama said. "Regulations were gutted for the sake of a quick profit at the expense of a healthy market. People bought homes they knew they couldn't afford from banks and lenders who pushed those bad loans anyway. And all the while, critical debates and difficult decisions were put off for some other time on some other day." Noting that is easy to "become cynical and doubtful," Obama said he has learned that "hope is found in unlikely places." I still have concerns with the bloated stimulus package, but I have faith in this administration. A level of respect that the former administration struggled to attain. And there is another sign that we may be headed in the correct direction. The squealing and squawking of the Right Wing of the blogosphere. The remnants of the 20% that can now only kick and scream. They are denigrating into a level of despair unmatched during the entire 8 years of the GWBush presidency. They are afraid, very afraid, cause the know that we just might have the best leader for this time, with a plan for the future. Its more than hope, but success, peace and prosperity that are on the way! My 7+ year Old HP is acting up again. I've boosted the memory to 2 GB thinking the crawling speed was more a symptom of newer updated software struggling on an older box. But the snails pace progressed to a molasses drip and finally consistent freezing at boot, or soon after the desktop is drawn. Good news is, I can boot with BART PE and still get through my file structure and pull off anything left on the drive. Bad news is I am headed for a System re-install or even a complete wipe and reinstall of the drive itself. Most all my spare time has been going to bring this tired old box back to life. The irony, the only reliable PC machine left in the house, is my MacBook. Yeap, I run Parallels Desk Top on my Intel based MacBook. Pretty slick. "I like trying to educate the American people about the dimensions and scope of this economic crisis," Clinton said. "I just would like him to end by saying that he is hopeful and completely convinced we're gonna come through this." Its one think to shoot straight, but all this doom and glome, chicken little talk isn't doing anyone, and namely the market, any favors. Though Clinton largely defended his own economic record, he admitted fault for lack of regulation on derivatives during his eight years as president, a problem some economists believe helped contribute to the nation's economic woes. "I think we should have moved a little more aggressively on these derivatives," he said. "Alan Greenspan and others thought we shouldn't regulate, didn't need to regulate derivatives, 'cause they would only be bought by very large, very wealthy, very sophisticated institutional buyers. I'll be thinking of my good friend Jimmy as they sentence the drunk driver who killed his sister in law and severely injured his brother in a New Years eve crash last year. On her last night alive, Margaret Lopez sat next to her husband of more than 20 years in his Ramsey County Sheriff's squad car and listened as music from the radio synced to the blinking of thousands of Christmas lights outside a Shoreview home. "Maggie had the biggest smile on her face, and an hour later she was gone," said Deputy Kristi Pavek, who worked with Lopez's husband, Joseph, for 18 years. Shortly after 3:30 a.m., as Lopez drove west on Hwy. 10 in Arden Hills, a 23-year-old woman driving the wrong way collided head-on with Lopez's squad car. Beth Rhodes will be sentenced today. My heart and prayers are with the Lopez family as they find closure during this difficult time. Just got the call from my son. He is on a brief layover at the HHH Terminal here in the Twin Cities. So close but yet so far. He is on his way to California where there will be a debrief and then much deserved time off. No time frame yet on when he'll be back in Minnesota for a visit, or maybe more than that. Thank to all for your kind words of support. Recent census figures indicate that Hamline Midway is becoming increasingly diverse, particularly in the African American population, while retaining many longtime households. The library maintains strong neighborhood support through enduring ties with the neighborhood coalition, it’s own Friends group and by serving on the Hamline Midway Youth Collaborative and other neighborhood concerns. It doesn't look like the strong neighborhood support will be enough. Hahm proposed closing three rec centers: Sylvan, Prosperity and Front. At three others — Baker, Griggs and Margaret — the city would pull out with hopes of finding neighborhood groups or nonprofits to take over the centers with their own programs, much like what was done when several rec centers closed in 2006. So close the Library and turn your back on the Rec Center. What are the kids to do now, besides get into teen aged mischief. This is painful, and not only because it is effect me, and my children personally, but it is a sign of the degradation of our lifestyle, and the damage the current economic strife has wrought. Please join me for a conversation with your neighbors and fellow Ward 4 residents in a conversation about the status of the City and its neighborhoods. 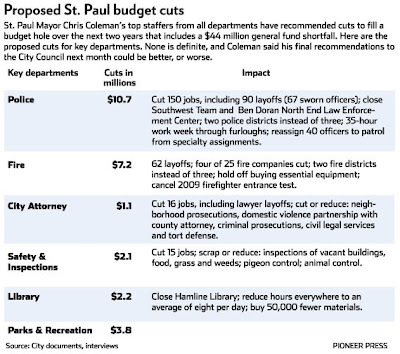 Tough times are upon the City of Saint Paul, leaving my colleagues and me with the challenge of making responsible, difficult budget decisions. Please join the discussion to lend your knowledge and creativity to the task of sustaining the City's livability despite the challenges we face. I know City staff read these pages. I'd like to hear from them, via comments or E-Mail as to whether these are done deal cuts, or what we as community members can do to preserve the legacies that are established in our neighborhoods for almost 80 years! I have signed the contract and am committing to the 2009 Minnesota Brass, Incorporated season. Those of you that have been around these parts know that I have another passion aside from my family and politics, and that is the marching arts. I have been performing in Drum corps, off and on, since 1978. This will be my 19th year as a performer! I was last on the field in 2005, living my dream of becoming a third generation performer with the Class A World Champion Govenaires. It was a bitter sweet end to that season, not that we finished 2nd, just missing the title, but that I lost a good and dear friend. Then the kids turned into teenagers and I needed to get them though Junior High and into high school. Now that the youngest two are a Junior and Sophomore, they are starting to 'get it'. With their brother, Sgt. Tom due to return to the states, and moving back to Minnesota, he'll hopefully be able to help out during those out of town weekends when the performance schedule heats up. My last year with MN Brass was 2003, so it has been a while (The photo is from 1998). Some things have changed a lot, others remain the same. The faces are mostly all new in the line, but the crew that supports us remains consistent. That is the sign of a good stable organization, one that placed 2nd in the world last year. The 2008 DCA World Championship is over. In open class the Reading Buccaneers pulled off the 4 peat and held off a charging Minnesota Brass with a 97.913 to MBI's 96.513. This year, we are making a run at the title! The 2009 program is entitled Nocturne, Songs for the Night. It begins with an old Drum Corps standard, Harlem Nocturne. This dark and rich program will explore various moods of the night. Earle Hagen's "Harlem Nocturne" provides the thematic backdrop for the production. Additional selections will include an edgy and mysterious take on Stan Kenton’s “Commencement" as well as his "Aspect." A lush rendition of “My Immortal” from Evanescence will serve as the ballad while the intense energy of Dizzy Gillespie's, "A Night in Tunisia" is sure to bring drum corps fans to their feet. The music and expressive visual program will transport our audiences through the scariness, the sadness and the playfulness of the night. If you've never experienced the marching arts at an almost professional level, you are in for a treat. This isn't your parents Marching Band, this is an intense, well choreographed, and tight musical performance. Our home show is in late August, the peek of our season, in South St. Paul. You'll want to mark your calenders early, to witness the greatest Drum and Bugle Corps to ever come out of the state of Minnesota, and maybe, a World Champion in the making! After a rocky season with the New York Jets, quarterback Brett Favre has decided to retire, his agent says. The decision marks Favre's second retirement announcement in an 11-month span. Favre retired from the Green Bay Packers in March 2008 before reconsidering and making a comeback with the Jets. His decision comes six weeks after the Jets finished 9-7 and missed the playoffs after an 8-3 start. Favre threw 22 touchdown passes and an NFL-high 22 interceptions while leading New York to a five-game improvement over their previous season without him. Favre's retirement will save the Jets his $13 million salary in salary cap space. The retirement clock expires, and the un-retirement clock start anew *laughing* Seriously, something tells me this is really the end. Enjoy the time off Brett, you've earned it! 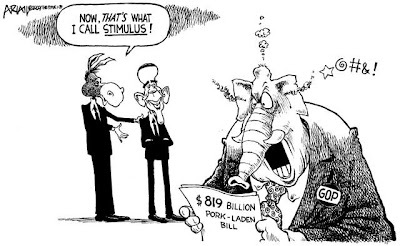 So it is more than stimulus, and unlike prior administrations that attempted to mask what they were trying do to, behind fancy glossary terms, the intent of this legislation has always been more then just stimulus. That allows me to disagree with major portions, since, well, the current folks on the Hill are actually being honest with me. Interesting concept, ya think! We have heard all the belly aching, from me included, about the pork. But we we aren't hearing enough about, is that over half this bill is direct tax relief and lifeline assistance to individuals and families. One-time payments to those who don't work: For seniors who don't work, as well as disabled veterans and retired railroad workers. It's $300m but $300 mora than they have right now. Temporary credit for car buyers:Interest and sales tax deductions. Too bad it isn;t retroactive to my 2008 Equinox purchase last Fall. Temporary credit for home buyers:A doubling of the home buyer tax credit and dropping the 'first time' clause. Maybe it is time for me to go shopping for some real estate bargains . . . .
Child Care Credit:Adjustment of the income threshold to make more benefits available, encouraging single parents back to work. I know what a money vacuum day care was when I was going it alone. It was one of the hardest financial periods of my life. Earned Income Credit:An increase in the earnings qualifications and a marriage penalty adjustment. That's 312.5 billion in direct tax relief. But we also have lifeline assistance to help those who are struggling most and desperately trying to get back on their feet. Unless you have ever been in dire straits, like I have, a helping hand is all most of us need to keep our dignity, and get back on track. Health insurance help for the jobless: Two programs that assist in subsidizing COBRA payments and providing coverage for those not eligible for COBRA. Help for needy families:A fund for temporary assistance to needy families. So that's 481.4 Billion dollars of direct tax relief or lifeline assistance that is putting money directly int he hands of those how need it, and will spend it. This is the area of the bill I have become quite content with. 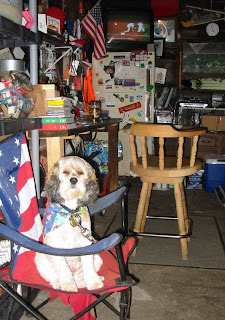 Now I am going to spend some time digging around for the spending provisions. Those will face much more scrutiny. Make Work Pay Credit: The Senate bill would narrow President Obama's signature tax provision. The full credit ($500 per worker or $1,000 per couple) would be paid to people making $70,000 or less ($140,000 per dual-earner couple). Under the House bill, those making $75,000 or less ($150,000 or less for couples) would qualify. Break for higher income families: The Senate version includes a one-year provision to protect middle- and upper-middle-income families from having to pay the Alternative Minimum tax. The AMT was intended primarily for high-income taxpayers but has in recent years threatened to engulf those lower down the income scale. The House bill has no such provision. Credit for car buyers: The Senate voted for an amendment that would let those who buy a car in 2009 deduct the interest they pay on their car loan as well as the sales tax charged in the purchase. The House bill doesn't include this provision. Home-buyer credit: The Senate bill would double the size of an existing temporary home-buyer credit to $15,000. It would also allow all homebuyers to claim it and remove the requirement under current law that the credit be paid back. The House bill also removes the repayment requirement but leaves the credit maximum at $7,500 and would offer it only to first-time buyers. Child-care credit: Both the Senate and House would expand the eligibility provisions of the child-care tax credit, so that lower income families could claim more of it. But the Senate expansion is smaller. Education funding: The compromise Senate bill allocates $39 billion to a fiscal stabilization fund that states would use in great part to help fund public colleges and universities. That is well below the $79 billion allocated by the House. The Senate version also provides less funding for Head Start and teacher quality programs, as well as education efforts for the disadvantaged. It would also eliminate funding in the House bill for K-12 construction and higher education facilities. Health wellness and flu prevention: The Senate bill excludes money allocated by the House for a prevention and wellness program as well as for pandemic flu research. Green government vehicles: The Senate version offers $300 million to purchase fuel-efficient government vehicles. That's half the amount allocated by the House bill. Subsidy for health insurance for those laid off: Both the Senate and House bills include provisions to help jobless workers pay for health insurance if they choose to stay on their ex-employer's plan. The Senate, however, offers less of a subsidy - 50% for 12 months - than the House, which calls for a 65% subsidy over 12 months. Tax break on unemployment benefits: The Senate bill, unlike the House version, would make the first $2,400 of unemployment benefits tax free. Both the Senate and House bills extend the time that jobless workers can collect benefits. Looking for work? 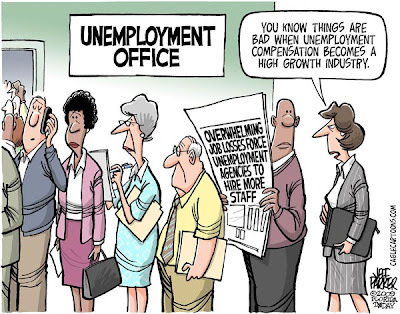 Try the unemployment office. No, not for the job listings. The unemployment office is one place that's actually hiring these days. Minnesota's workforce centers are seeing a booming business — thanks to eye-popping layoff numbers like those released Friday — and they are looking to add workers to help handle the crush. The state is hiring 15 workers to conduct job search workshops, assess skills, assist with job searches or simply to provide face-to-face help to people trying to navigate the bureaucracy of joblessness. Those people will be added to the 85 currently in place to help job seekers at the state's 47 workforce centers. Some 160,000 people in Minnesota are collecting unemployment benefits, a record high and double the number a year ago. That means a growing number of people are using the workforce centers to pore over job listings, talk to job counselors and use the resources as a starting place for a career transition. Good friend and neighbor Mitch, who never saw a talking point he didn't want to copy/paste, now wants me to stop using the phrase. Generally that means I hit the mark pretty close. In an attempt to start an honest debate, and reasonable dialogue, he all but ignored my comment to chastise me about the phrase. In an earlier posts, the Mitchkateers have, again, ignored my substantive information and posted facts by clamoring for proof of these talking points I speak of. Although we suspect that the intellectually dishonest Right Wing of the local blogosphere (the members of which will be the ones that claim they are not) is probably directly involved in crafting said talking points, we do know where they are, and are confident they are subscribed to all of them. But the most important ones, of course, are actually housed on a government website, paid by taxpayers money. Seeing is believing. Maybe if they are so dead set on cutting waste and pork, they can carry their website to a private hosting server on the RNC side, rather than the ".GOV" site. But as we know in politics, one person's pork, is another person's bacon! Spring Arrived . . .
. . . in the Midway at approximately 3:44 PM. I'll be in the garage the rest of the weekend if you need me. I am so close to being back in the states!!!! ARG!!! this is driving me nuts! Sometime next week if all goes well. When the service star on the right disappears, you'll know he is back in the good ole US of A. Efforts to seat Senator-elect Al Franken provisionally are not being brought on two fronts. Today the Supreme court will have a hearing on a motion to issue a provisional Certificate of Election. As both sides hurled taunts and accusations Wednesday, lawyers for DFLer Al Franken and Republican Norm Coleman braced for a showdown today in the state's highest court on whether Franken should be seated in the Senate while their courtroom election fight continues. Franken attorney Marc Elias called the recount trial -- Coleman's legal challenge of Franken's 225-vote lead in the certified recount results -- "a shrinking case" and said the law demands that the Democrat be seated in the meantime to give Minnesota the two senators it deserves. At 9 this morning, the Minnesota Supreme Court will hear Franken's motion to be granted a provisional certificate of election. This has been interpreted to me to mean that the certificate itself has no bearing, as in the House (or Senate) decides who their members are. Not issuing a certificate places the canvassing winner at a disadvantage, whereas Issuing the Certificate means nothing as it has no legal bearing. The Supremes will have to overturn their prior decisions, and that generally take a higher burden to pull off. The bill says that, in a case that proceeds from the administrative recount to the election contest phase (in other words, the current case), the governor and secretary of state must issue a temporary certificate of election (the lack of such a certificate is the main argument Republicans are using to block Franken from being seated) to the candidate who is ahead at the end of the state Canvassing Board recount (in other words, to Franken) that would enable him to be seated in the Senate while the election contest proceeds in court. I doubt the governor would sign this, and the DFL is about 3 seats shy of the veto proof majority. But maybe calmer heads will prevail, and a compromise will be reached to at least approve this legislation for future contests. Its simply not right for us to go unrepresented, while the contestant is allowed to drag his case on ad infinitum. Maybe if, at least ion the future, they don;t have the ability to prevent the seating of the recount winner by pursuing a frivolous contest, they'll reconsider the time money and effort involved in that process. Mitch's youngest is having a birthday. My youngest asked to dip into his fiscal reserves. I hope they don't have something brewing, pun intended. The heck with the groundhog, stay tuned for the real first sign of Spring . . the official tapping of the first Garage Keg. God knows I have had a Winter worthy of an early Spring. Also, with Sgt. Tom expecting to get his travel papers soon and a scheduled return to the states next week, I'll need to be ready for the celebration. I was soooooo tempted to pick up a keg last Saturday, but knew the cold snap was coming. However, with the front moving in later in the week, and an optimistic extended forecast, this just may set up the earliest Spring in my history living in the Midway. Here's a view from last Fall, with Kurly ready to go. UPDATE: A Keg of Natty Ice has just been ordered for Friday Pick-Up. Why is it when the GOP was in control of both the White House and Congress, they flew the fickle finger of fate in the faces of the Minority. They even expressed "I have political capital. I intend to spend it"!!. Call it the 'our way or the high way' method of governing. Sen. John McCain said Monday that President Obama and Democrats will have to "seriously negotiate" with Republicans if they want to pass a stimulus plan with bipartisan support. Sen. John McCain says he'd vote "no" on the stimulus bill as it stands. 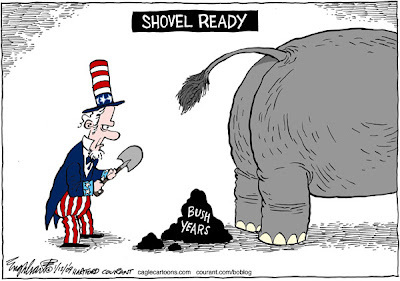 "I think we are clearly prepared to sit down, discuss, negotiate a true stimulus package that will create jobs," McCain said on CNN's "American Morning." Don't get me wrong, I agree with the Senator. But where was all the talk of Bi Partisan negotiation when they were the ones holding the power. That's a rhetorical question. We know why they don't want to play nice when they hold the keys to the toy box.